Can you believe 2015 is only a few days away? I am not sure how to feel about that at the moment ....I am both excited and anxious at the same time. I spent the past few months of 2014 in an uncomfortable state between graduating from university and waiting for what happens next. These months were filled with the kind of uncertainty that you are never prepared for or that you are ever warned about ...not having much to do, going to interviews and waiting for more calls and making plans of how things will actually be once you start working. Now that I'm finally over that period, I feel like I need a little time to reset,relax and not worry about much. I think the past months have changed my 2015 new year resolutions compared to those of previous years. They are simple and more reasonable. 1.Try to live in the moment and not worry much about things I can't control. 2.Enjoy the person and age I am now. I am goin' to be turning 23 in the 1st few months of the year(March to be exact). Terrifying. 3.Look after myself inside and out. This is a big one. I haven't been trying my best or at all during the past months. 4.Spend more time with people that make me happy. Also a good way to relieve stress. 5.Take better care of my feet. They need the extra attention. 6.Pay more attention to my needs and what would make me happy. 8.Listen to more music, One of my favourite things to do. 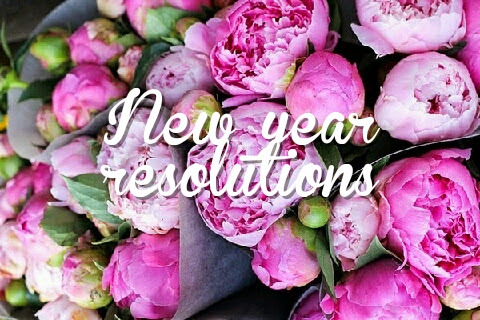 let me know about your resolutions below. I understand, its very hard to adjust.goodluck to you too. where were you studying? At UFS! For 5 years. But then I got a bit strangled by this year's honnours course so I've decided to take a break. Where did you do your Economics?